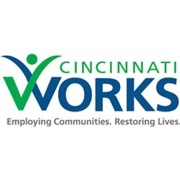 Cincinnati Works is a nonprofit organization that brings hope and encouragement to people living in poverty through a network of comprehensive employment services and employer partnerships. The organization has helped over 5,000 job seekers below the federal poverty guidelines to find employment and work toward economic self-sufficiency. For over 10 years the Cincinnati International Wine Festival has supported Cincinnati Works. This ongoing support is vital to the mission of Cincinnati Works, as the journey from poverty to self-sufficiency can take years and Cincinnati Works offers Members lifetime access to its services. This ongoing support enables Members like Benn McNeill to lift themselves and their families out of poverty. When Benn came to Cincinnati Works in 2006 his life was in disarray. He was recently divorced with custody of his two young sons, without a job and living with his parents. With an unstable work history, student loans to pay and children to support, Benn knew he needed a steady job and fast. Working with his Cincinnati Works Professional Development Coach, Benn realized that the key to moving forward was to have a plan that he could follow to reach his employment and financial goals. Benn concluded that he needed to look for a different type of work, which led him to accept a position with his current employer, Bromwell’s, in March 2011. With his employment stabilizing and with a benefits package that included medical insurance for himself and his boys, Benn began to turn his attention to his finances. He met with his Cincinnati Works Advancement and Financial Coach who helped him establish a budget, pay down his debt, and save to purchase a car. In 2013, Benn purchased a car and was able to finance it at a low interest rate because of his improved credit score. In 2014, Benn was able to able to buy a home in a safe neighborhood for himself and his two sons. Best of all, Benn has his self-esteem and his self-respect back. He credits his parents and Cincinnati Works for helping him move his life forward.